At STS we design and develop drum handling equipment that make manual handling safer, easier and more efficient. 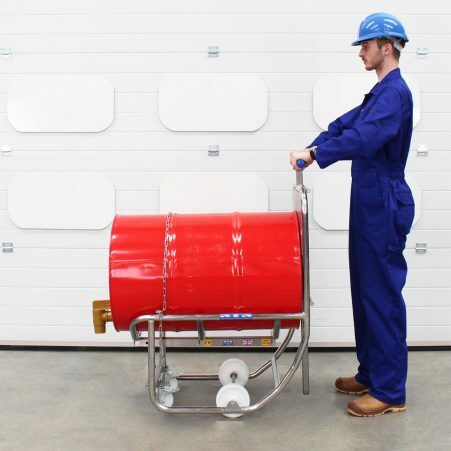 Our range of high quality drum trolleys and drum dollies offer the ability to move a variety of drum types and sizes in an efficient and safe manner. Explore our market leading drum handling equipment and find a drum truck or dolly which suits your exact requirements. We’ve designed our drum cradles to be ergonomic, making the manual rotation of 200-litre drums safe and easy. Our drum mixers have been designed to meet the needs of industry. We provide both horizontal barrel rollers and end-over-end mixers. Air-powered ATEX stacker truck for use in a range of industries. Lift pallets and IBCs with ease, even in a zoned hazardous environment. Move high-pressure gas cylinders with our Gas Cylinder Trolley (CTS01) and hoist them using our lifting hoist model CTS02. Alternatively explore our propane cylinder trolley, the CTS03 model. 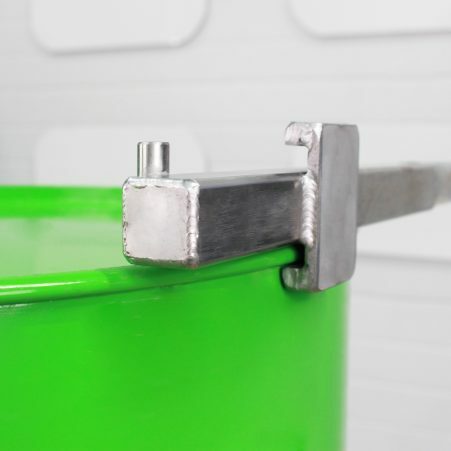 We also offer additional items, such as stainless-steel drum lever bars to assist with the daily handling of drums. 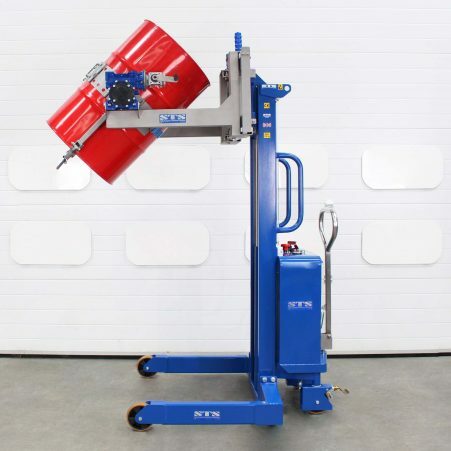 If you require custom handling equipment, we’re able to provide bespoke products. Our in-house engineering team both designs and builds equipment to your exact specification. What could we develop for you?